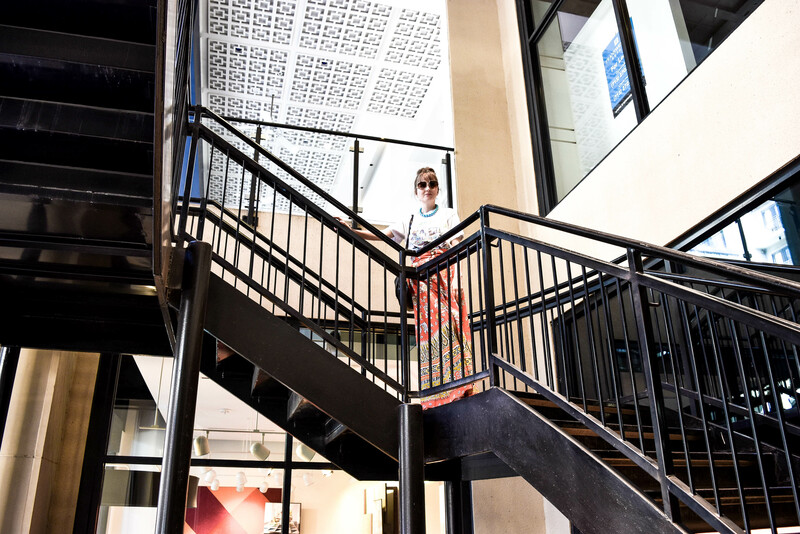 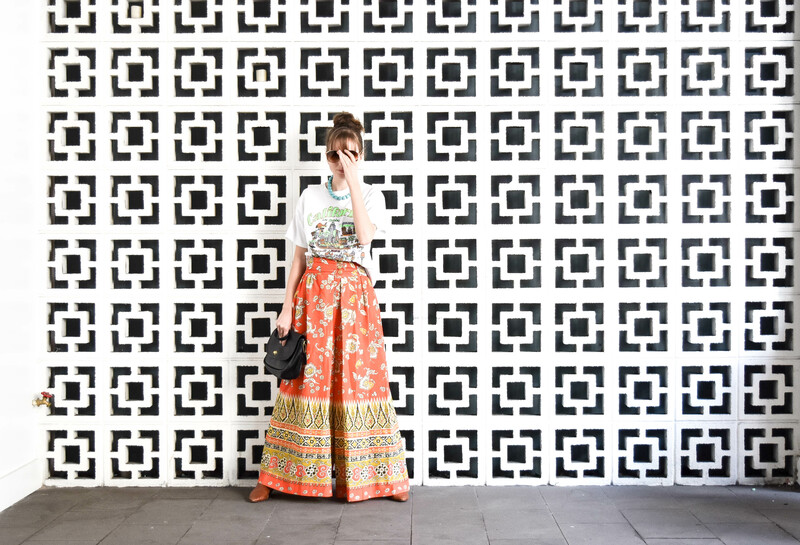 My friend Sofia and I ventured over to the posh West Ave River Oaks shopping center to have brunch at Pondicheri– Houston’s uber-cool Indian restaurant, that is also known for their delectable and colorful Instagram account. 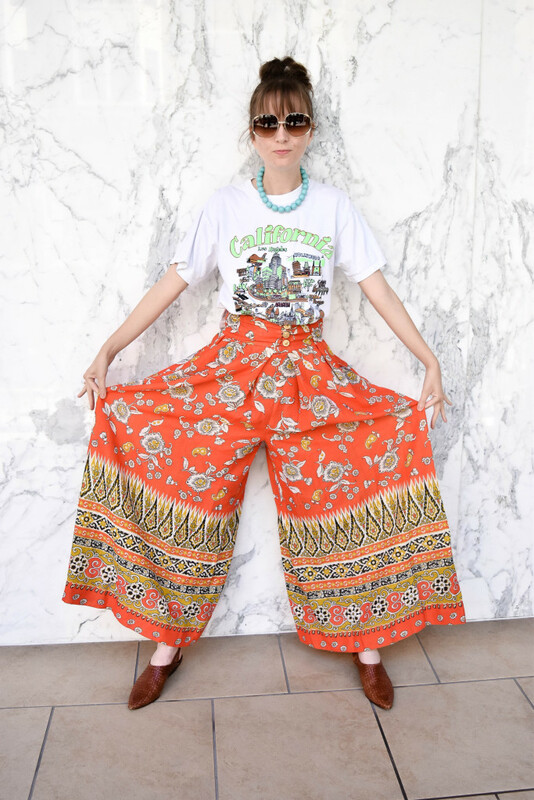 Since it was a nice, almost-spring-like day, I opted for my flowy palazzo pants that I found at my friend Kime’s shop in Yucca Valley, and paired it with one of my 1990’s California souvenir t-shirts. 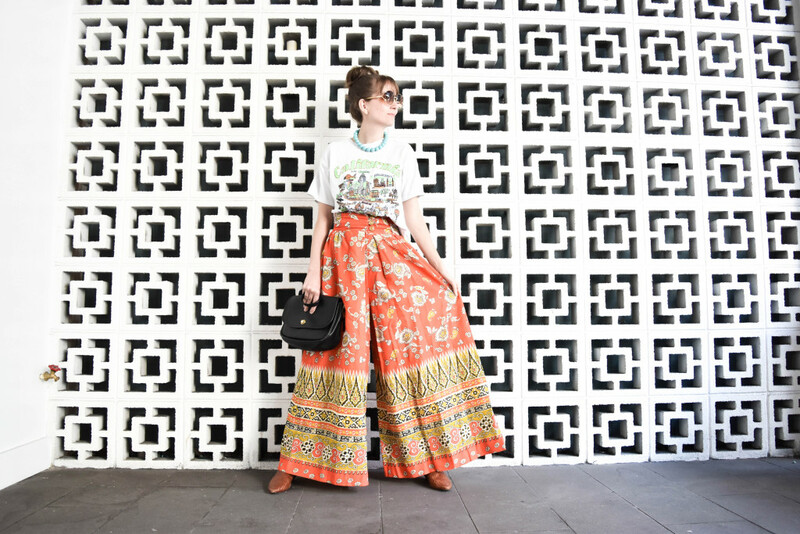 I topped off the outfit with faux turquoise baubles, my vintage, thrifted, woven sandals; my new-to-me vintage 1980’s Christian Dior sunglasses and my vintage Coach handbag.